Floating Charms There are 139 products. 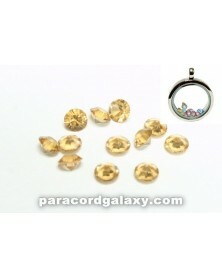 Topaz Flaoting Birthstone Charms. 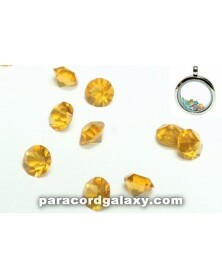 Yellow Topaz for November Birthdays. Floating Lockets sold separately. Please note price shown is for a single Bead/Charm. 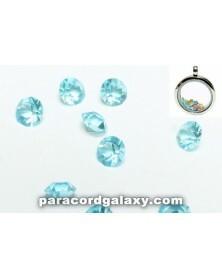 Round birthstone crystals 4mm. Plastic charm. Clear color for April birthdays. Floating Lockets sold separately. Please note price shown is for a single Bead/Charm. 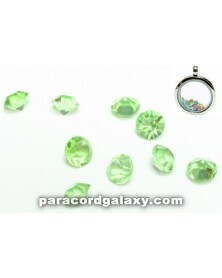 Round birthstone crystals 4mm. Plastic charm. Pink color for October birthdays. Floating Lockets sold separately. Please note price shown is for a single Bead/Charm. 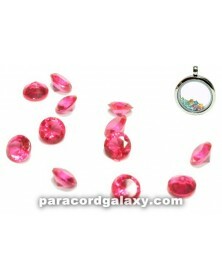 Round birthstone crystals 4mm. Plastic charm. Aqua blue color for March birthdays. Floating Lockets sold separately. Please note price shown is for a single Bead/Charm. 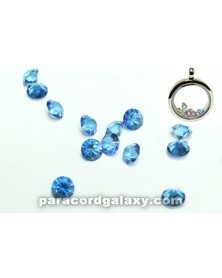 Round birthstone crystals 4mm. Plastic charm. Teal blue color for December birthdays. Floating Lockets sold separately. Please note price shown is for a single Bead/Charm. 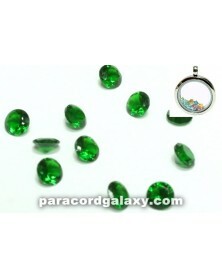 Round birthstone crystals 4mm. Plastic charm. Blue sapphire color for September birthdays. Floating Lockets sold separately. Please note price shown is for a single Bead/Charm. Sky Blue Floating Birthstone for December Birthdays. Floating Lockets sold separately. Please note price shown is for a single Bead/Charm. 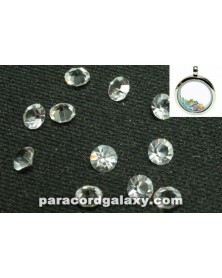 Round birthstone crystals 4mm. Plastic charm Red color for January or July birthdays. Floating Lockets sold separately. Please note price shown is for a single Bead/Charm. 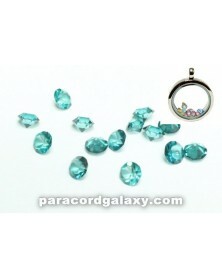 Round birthstone crystals 4mm. Plastic charm. Peridot green color for August birthdays. Floating Lockets sold separately. Please note price shown is for a single Bead/Charm. 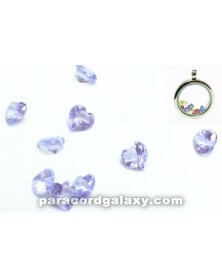 Purple Birthstone for Floating Lockets. Floating Lockets sold separately. Please note price shown is for a single Bead/Charm. 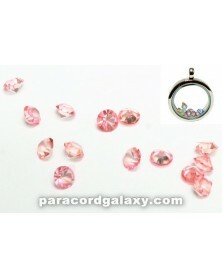 Ligh Pink Floating Birthstone Charms. Floating Lockets sold separately. Please note price shown is for a single Bead/Charm. 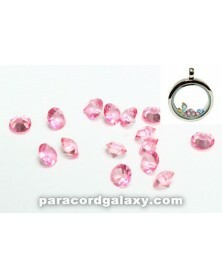 Round birthstone crystals 4mm. Made from crystal glass Pink color for June or October birthdays. Floating Lockets sold separately. Please note price shown is for a single Bead/Charm. 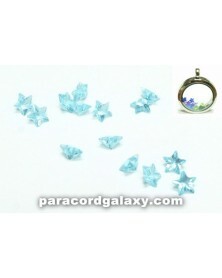 Star birthstone crystals are 4mm, Made from crystal glass. Red color for January or July birthdays. Floating Lockets sold separately. Please note price shown is for a single Bead/Charm. Heart birthstone crystals 4mm. Made from crystal glass. Emerald green color for May birthdays. Floating Lockets sold separately. Please note price shown is for a single Bead/Charm. 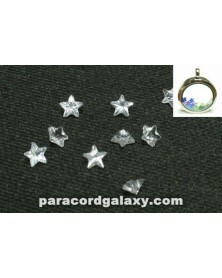 Star birthstone crystals are 4mm, Made from crystal glass. Purple Amethyst color. Floating Lockets sold separately. Please note price shown is for a single Bead/Charm. 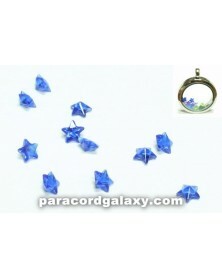 Star birthstone crystals 4mm. Made from crystal glass. Yellow color for November birthdays. Floating Lockets sold separately. Please note price shown is for a single Bead/Charm. 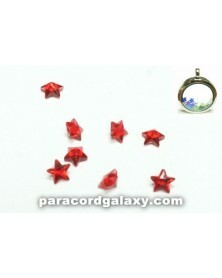 Star birthstone crystals 4mm. Made from crystal glass Pink color for October birthdays. Floating Lockets sold separately. Please note price shown is for a single Bead/Charm. 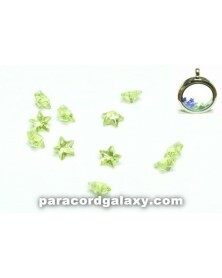 Star birthstone crystals are 4mm, Made from crystal glass. Purple Amethyst color for February birthdays. Floating Lockets sold separately. Please note price shown is for a single Bead/Charm. 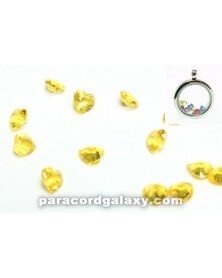 Star birthstone crystals are 4mm, Made from crystal glass. Sky blue color for March birthdays. Floating Lockets sold separately. Please note price shown is for a single Bead/Charm. 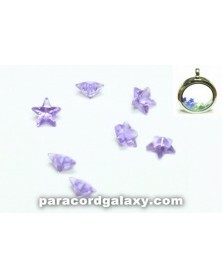 Star birthstone crystals are 4mm, Made from crystal glass. Peridot green color for August birthdays. Floating Lockets sold separately. Please note price shown is for a single Bead/Charm. 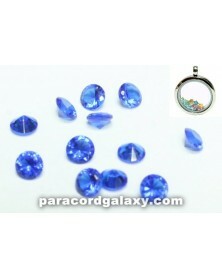 Round birthstone crystals 4mm. Made from crystal glass. Clear color for April birthdays. Floating Lockets sold separately. Please note price shown is for a single Bead/Charm. 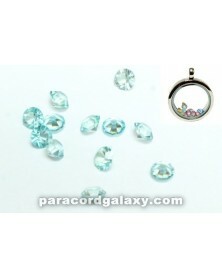 Round birthstone crystals 4mm. Made from crystal glass. Sky blue color for March or December birthdays. Locket sold separately. Please note price shown is for a single Bead/Charm. 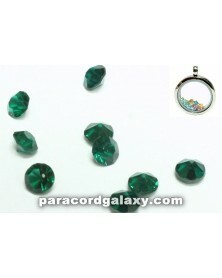 Round birthstone crystals 4mm. Made from crystal glass. Peridot green color for August birthdays. 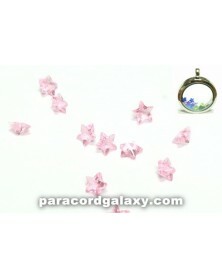 Floating Lockets sold separately.Please note price shown is for a single Bead/Charm. 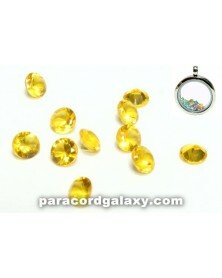 Round birthstone crystals 4mm. Made from crystal glass. Yellow Topaz color for November birthdays. Floating Lockets sold separately. Please note price shown is for a single Bead/Charm. 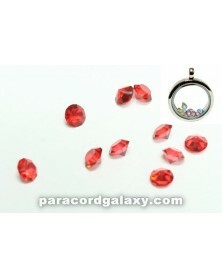 Round birthstone crystals 4mm. Made from crystal glass. Red color for January or July birthdays. Floating Lockets sold separately. Please note price shown is for a single Bead/Charm. 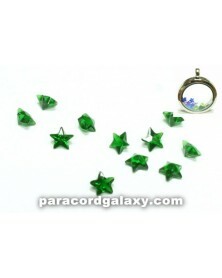 Star birthstone crystals are 4mm, Made from crystal glass. Emerald green color for May birthdays. Floating Lockets sold separately. Please note price shown is for a single Bead/Charm. 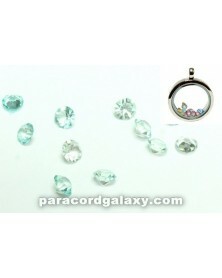 Round birthstone crystals 4mm. Made from crystal glass. Yellow color for November birthdays. Floating Lockets sold separately. Please note price shown is for a single Bead/Charm. 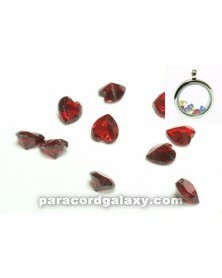 Red Heart birthstone crystals 4mm. Made from crystal glass. Red color for January or July birthdays. Floating Lockets sold separately. Please note price shown is for a single Bead/Charm. 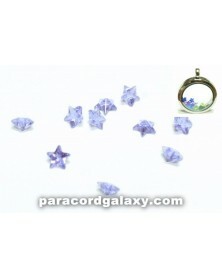 Star birthstone crystals are 4mm, Made from crystal glass. Clear color for April birthdays. Floating Lockets sold separately. Please note price shown is for a single Bead/Charm. 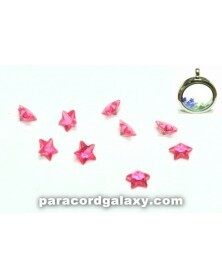 Star birthstone crystals are 4mm, Made from crystal glass Pink color for June birthdays. Floating Lockets sold separately. Please note price shown is for a single Bead/Charm. 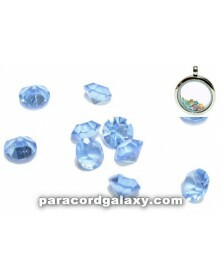 Heart birthstone crystals 4mm. Made from crystal glass. Yellow color for November birthdays. Floating Lockets sold separately. Please note price shown is for a single Bead/Charm. 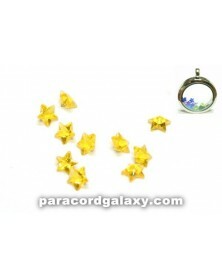 Star birthstone crystals 4mm. Made from crystal glass. Blue sapphire color for September birthdays. Floating Lockets sold separately. Please note price shown is for a single Bead/Charm. 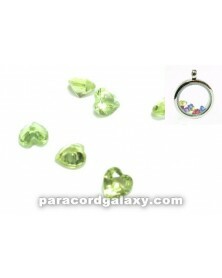 Heart birthstone crystals 4mm. Made from crystal glass. Sky blue color for December birthdays. Floating Lockets sold separately. Please note price shown is for a single Bead/Charm. 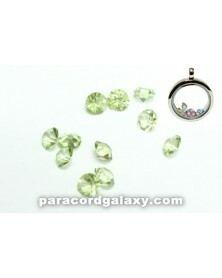 Round birthstone crystals 4mm. Made from crystal glass. Aqua blue color for March or December birthdays. Floating Lockets sold separately. Please note price shown is for a single Bead/Charm. 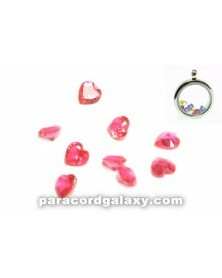 Heart birthstone crystals 4mm. Made from crystal glass. Sky blue color for March birthdays. Floating Lockets sold separately. Please note price shown is for a single Bead/Charm. 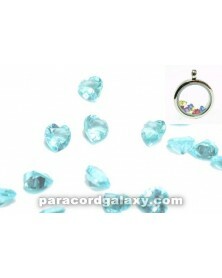 Heart birthstone crystals 4mm. Made from crystal glass. Blue sapphire color for September birthdays. Floating Lockets sold separately. Please note price shown is for a single Bead/Charm. 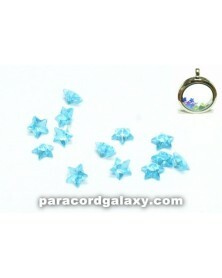 Star birthstone crystals 4mm. Made from crystal glass. Sky blue color for December birthdays. Floating Lockets sold separately. Please note price shown is for a single Bead/Charm. 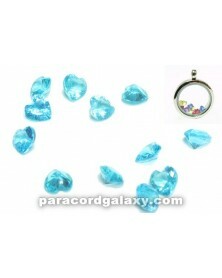 Heart birthstone crystals 4mm. Made from crystal glass Pink color for October birthdays. Floating Lockets sold separately. Please note price shown is for a single Bead/Charm. 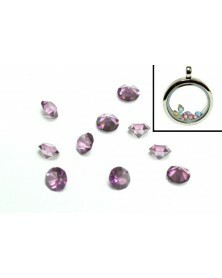 Heart birthstone crystals 4mm. Made from crystal glass. Light Purple color Feburary Birthstone. Floating Lockets sold separately. Please note price shown is for a single Bead/Charm. 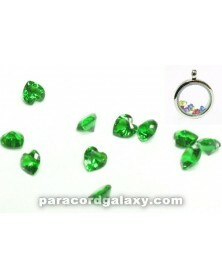 Heart birthstone crystals 4mm. Made from crystal glass. Peridot green color for August birthdays. Floating Lockets sold separately.Please note price shown is for a single Bead/Charm. 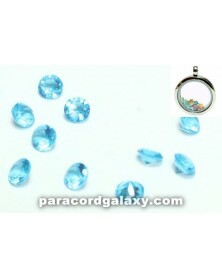 Round birthstone crystals 4mm. Made from crystal glass. Green color for May birthdays. Floating Lockets sold separately. Please note price shown is for a single Bead/Charm. 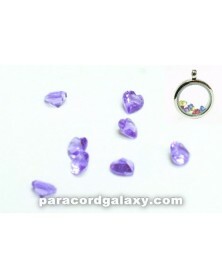 Round birthstone crystals 4mm. Made from crystal glass. Blue sapphire color for September birthdays. Floating Lockets sold separately. Please note price shown is for a single Bead/Charm. 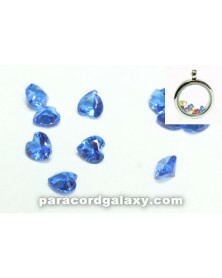 Heart birthstone crystals 4mm. Made from crystal glass. Purple Amethyst color for February birthdays. Floating Lockets sold separately. Please note price shown is for a single Bead/Charm. 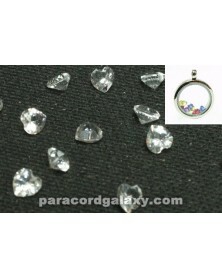 Heart birthstone crystals 4mm. Made from crystal glass. Clear color for April birthdays. Floating Lockets sold separately. Please note price shown is for a single Bead/Charm. 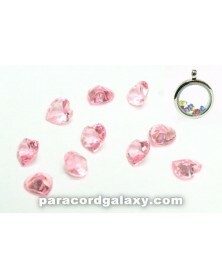 Heart birthstone crystals 4mm. Made from crystal glass Pink color for June birthdays. Floating Lockets sold separately. Please note price shown is for a single Bead/Charm. 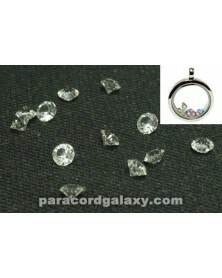 Round birthstone crystals 4mm. Made from crystal glass. Dark blue sapphire color for September birthdays. Floating Lockets sold separately. Please note price shown is for a single Bead/Charm. 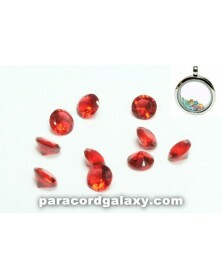 Round birthstone crystals 4mm. Made from crystal glass. Emerald green color for May birthdays. Floating Lockets sold separately. Please note price shown is for a single Bead/Charm. Black bat that is shaped like its flying. Floating Lockets sold separately. Please note price shown is for a single Bead/Charm. 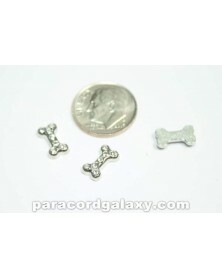 This floating charm is a Dog bone with clear jewels. For use with Floating Lockets sold separately. Please note price shown is for a single Bead/Charm. 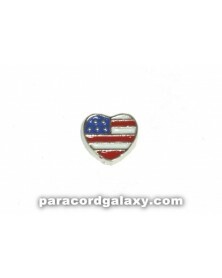 Silver heart with USA flag pattern. Floating Lockets sold separately. Please note price shown is for a single Bead/Charm. 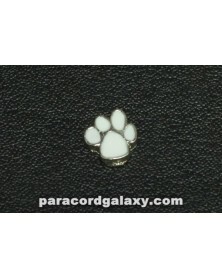 This floating charm is shaped like a paw print with white enamel. Floating Lockets sold separately. Please note price shown is for a single Bead/Charm. 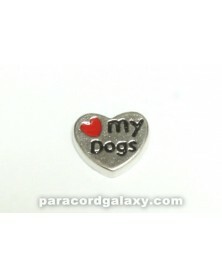 This floating charm is heart shaped with a red heart and MY DOGS stamped in it. Floating Lockets sold separately. Please note price shown is for a single Bead/Charm. 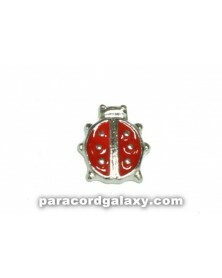 This floating charm is shaped like a red ladybug, with silver spots. Floating Lockets sold separately. Please note price shown is for a single Bead/Charm. 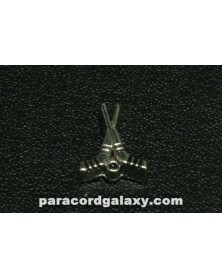 This floating charm is shaped like a mother holding her child. Floating Lockets sold separately. Please note price shown is for a single Bead/Charm. 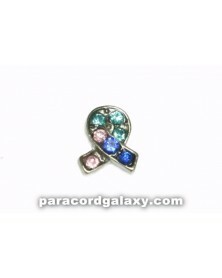 This floating charm is shaped like a ribbon with pink, blue and dark blue jewels. Floating Lockets sold separately. Please note price shown is for a single Bead/Charm. This floating charm is shaped like a ribbon with light blue jewels. Floating Lockets sold separately. Please note price shown is for a single Bead/Charm. 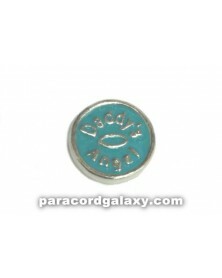 Round floating charm with the words "Daddy's Angel" and a halo, Blue enamel background. Floating Lockets sold separately. Please note price shown is for a single Bead/Charm. Drink with Umbrella Charm shaped like a pink cup with a lemon wedge and umbrella. Floating Lockets sold separately. Please note price shown is for a single Bead/Charm. This floating charm is a turtle with a black shell. Floating Lockets sold separately. Please note price shown is for a single Bead/Charm. 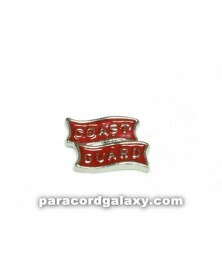 This floating charm has two banners with the words "Coast Guard". Floating Lockets sold separately. Please note price shown is for a single Bead/Charm. 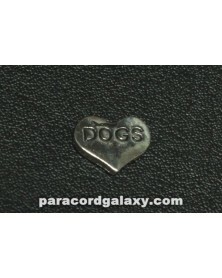 This floating charm is heart shaped with the word "DOGS" stamped in it. Floating Lockets sold separately. Please note price shown is for a single Bead/Charm. 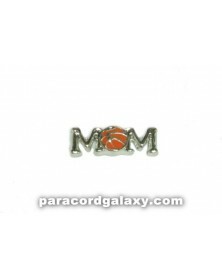 This floating charm is shaped like the word "MOM" with a basketball in place of the "O". Floating Lockets sold separately. Please note price shown is for a single Bead/Charm. 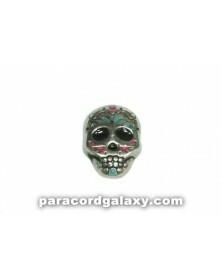 Charm is shaped like a skull with pink and blue Sugar skull design. Floating Lockets sold separately. Please note price shown is for a single Bead/Charm. 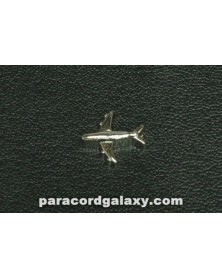 This floating charm is shaped like an airplane. Floating Lockets sold separately. Please note price shown is for a single Bead/Charm. This floating charm is shaped like the Holy Bible. Floating Lockets sold separately. Please note price shown is for a single Bead/Charm. This floating charm is shaped like two hockey sticks and a puck. Floating Lockets sold separately. Please note price shown is for a single Bead/Charm. 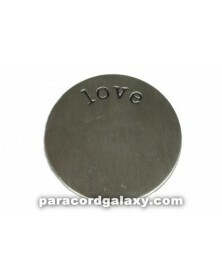 This floating charm is a round disk or plate with the word LOVE stamped into it. Floating Lockets sold separately. Please note price shown is for a single Bead/Charm. 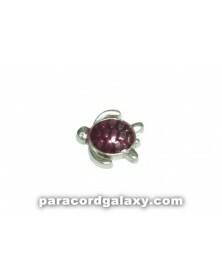 This floating charm is shaped like a turtle with a purple Shell. Floating Lockets sold separately. Please note price shown is for a single Bead/Charm. Pink heart shape with "I love you" (a yellow heart instead of "Love" printed inside) floating charm. Floating Lockets sold separately. Please note price shown is for a single Bead/Charm. Floating charm in a heart-shaped lock with red enamel. Floating Lockets sold separately. Please note price shown is for a single Bead/Charm. 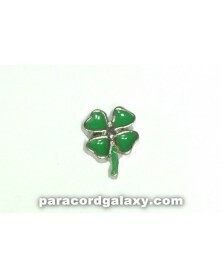 Charm is green and shaped like a four leaf clover. Floating Lockets sold separately. Please note price shown is for a single Bead/Charm. This floating charm is shaped like a turtle with an orange shell. Floating Lockets sold separately. Please note price shown is for a single Bead/Charm. This floating charm is shaped like a black guitar. Floating Lockets sold separately. Please note price shown is for a single Bead/Charm. 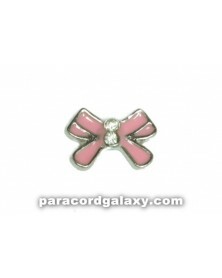 Charm is pink in a bow shape with light pink jewels in the middle. Floating Lockets sold separately. Please note price shown is for a single Bead/Charm. 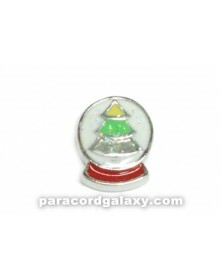 This floating charm is shaped like a snowglobe with a Christmas tree inside. Floating Lockets sold separately. Please note price shown is for a single Bead/Charm. 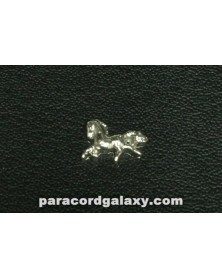 This floating charm is shaped like a running horse. Floating Lockets sold separately. Please note price shown is for a single Bead/Charm. 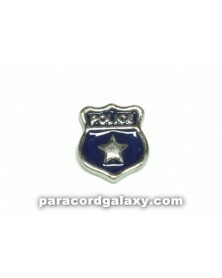 This is a floating charm in the shape of a blue police badge. Floating Lockets sold separately. Please note price shown is for a single Bead/Charm. 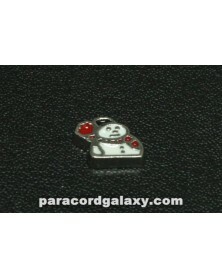 This floating charm is shaped like a snowman. Floating Lockets sold separately. Please note price shown is for a single Bead/Charm. 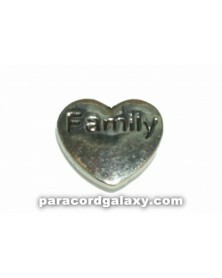 Heart floating charm with the word "Family" stamped in it. Floating Lockets sold separately. Please note price shown is for a single Bead/Charm. This floating charm is shaped like a paw print with black enamel and clear jewels. Floating Lockets sold separately. Please note price shown is for a single Bead/Charm. 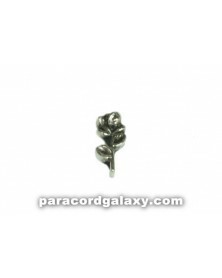 Silver flower with a stem charm. Floating Lockets sold separately. Please note price shown is for a single Bead/Charm. 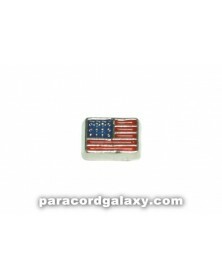 This floating charm is shaped like the United States flag. Floating Lockets sold separately. Please note price shown is for a single Bead/Charm. This floating charm is shaped like a turtle with a blue shell and gold body. Floating Lockets sold separately. Please note price shown is for a single Bead/Charm. Silver and green four leaf clover with clear jewel in the middle. Use for floating lockets. Please note price shown is for a single Bead/Charm. 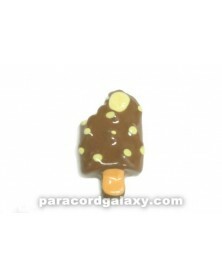 This floating charm is shaped like a brown chocolate ice cream bar. Floating Lockets sold separately. Please note price shown is for a single Bead/Charm. 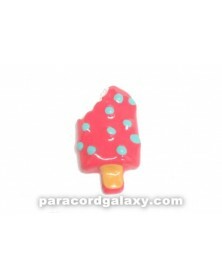 This floating charm is shaped like a pink ice cream bar. Floating Lockets sold separately. Please note price shown is for a single Bead/Charm. 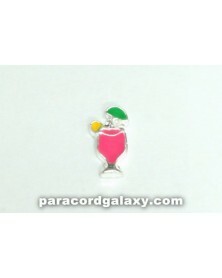 This floating charm is shaped like pink nail polish. Floating Lockets sold separately. Please note price shown is for a single Bead/Charm. 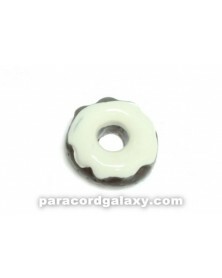 This floating charm is shaped like a donut with white frosting. Floating Lockets sold separately. Please note price shown is for a single Bead/Charm. 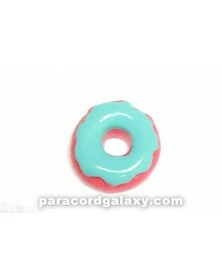 This floating charm is shaped like a pink donut with blue frosting. Floating Lockets sold separately. Please note price shown is for a single Bead/Charm. Silver and red bird charm for floating locket. Floating Lockets sold separately. Please note price shown is for a single Bead/Charm. 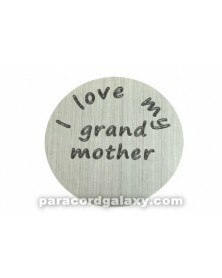 This floating charm is a round disk or plate with the words "I Love My Grandmother" stamped into it. Floating Lockets sold separately. Please note price shown is for a single Bead/Charm. This floating charm is shaped like a turtle with a pink shell. Floating Lockets sold separately. Please note price shown is for a single Bead/Charm. This floating charm is a round disk or plate with the words "La Major Mama" Stamped into it which translates to "the best mom ever". Floating Lockets sold separately. Please note price shown is for a single Bead/Charm. 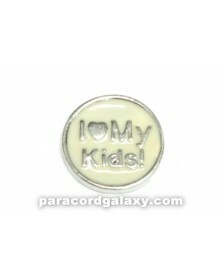 This floating charm is round with I love my kids with a cream colored enamel. Floating Lockets sold seperately. Please note price shown is for a single Bead/Charm. 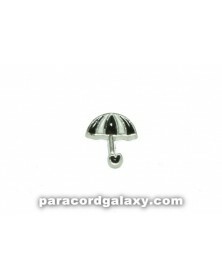 This floating charm is shaped like an umbrella with white and black stripes. Floating Lockets sold separately. Please note price shown is for a single Bead/Charm. 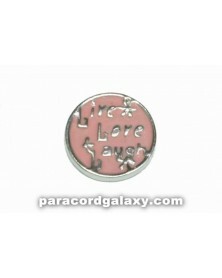 Round floating charm with the words "Live Love Laugh". Light pink enamel back ground. Floating Lockets sold separately. Please note price shown is for a single Bead/Charm. 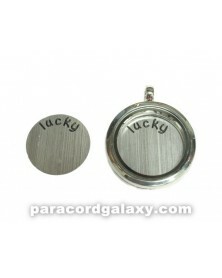 This floating charm is a round disk or plate with the word LUCKY stamped into it. Floating Lockets sold separately. Please note price shown is for a single Bead/Charm. 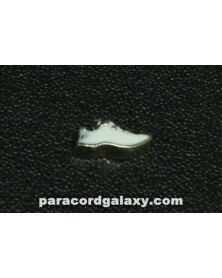 This floating charm is a White running shoe or sneaker. Floating Lockets sold separately. Please note price shown is for a single Bead/Charm. 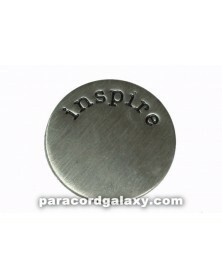 This floating charm is a round disk or plate with the word INSPIRE stamped into it. Floating Lockets sold separately. Please note price shown is for a single Bead/Charm. This is a floating charm in the shape of a bus. It has the word "peace" as well as some flowers on it. Floating Lockets sold separately. Please note price shown is for a single Bead/Charm.